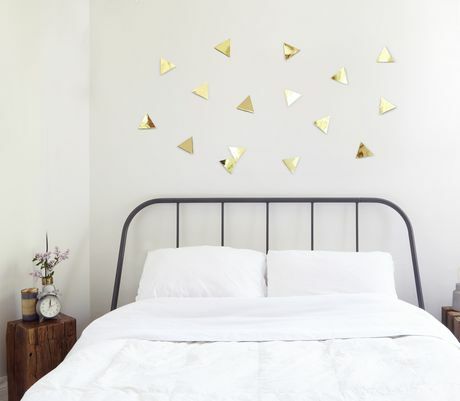 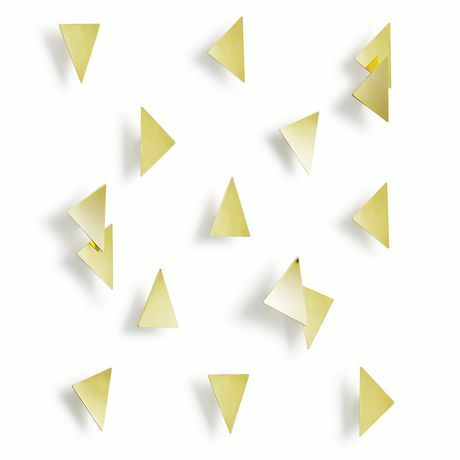 7.5 X 7.5 cm / 3" X 3"
Give your room a quick and impactful update with polished brass peel-and-stick Confetti Triangles Wall Decor by Umbra. 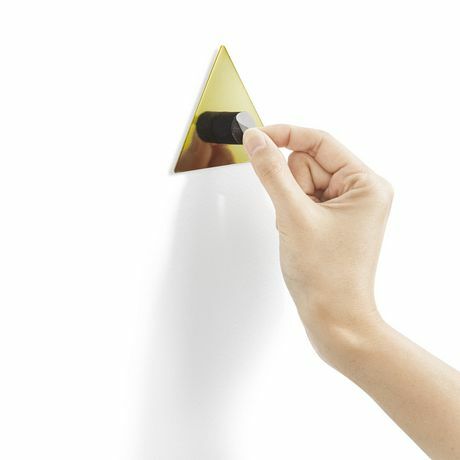 Simply peel off adhesive backing and arrange in any pattern you desire. Set of 16. 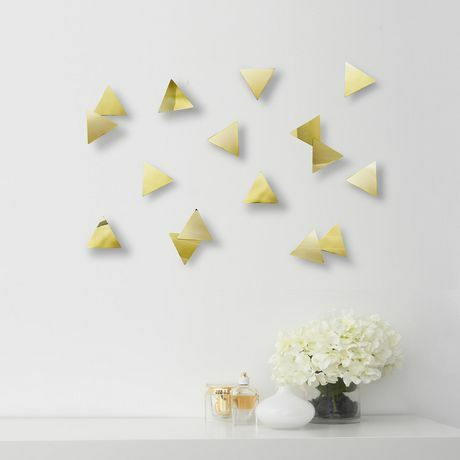 Designed by Laura Carwardine for Umbra - original, modern, casual, functional and affordable design for the home.